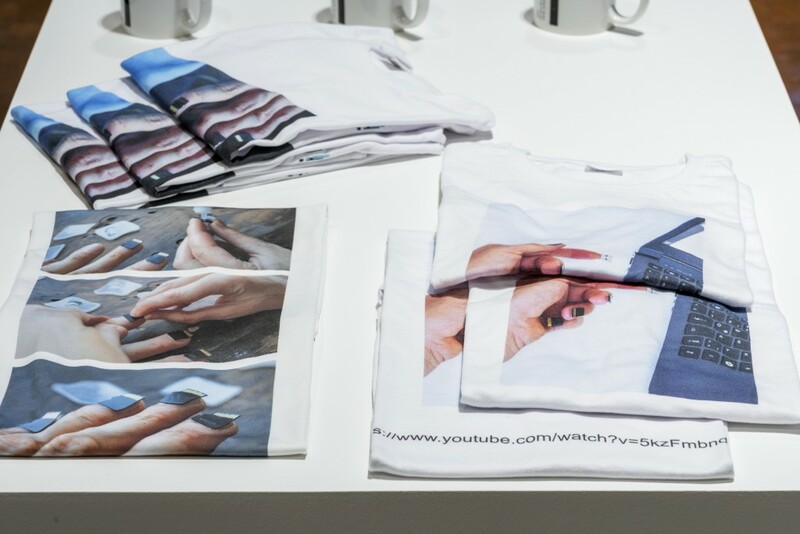 “Post Snowden Nails” with Nadja Buttendorf, installation view at Media City Biennale Seoul, 2018. Post Snowden Nails is a new project I did at Nadjas Nail Art Residency. Check out how to glue micro-SD cards onto your nails. 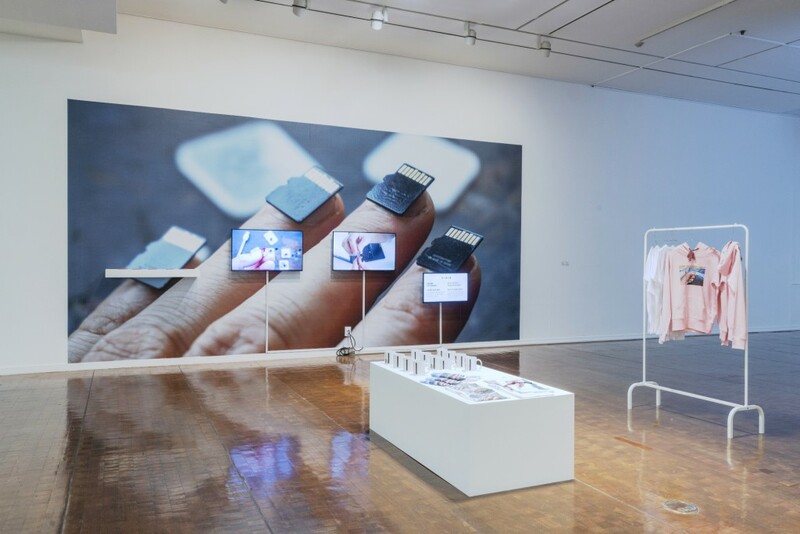 Nadja Buttendorf is awaiting your proposal for “nail art” ideas, ALL PICTURES & more info at her residency-page. 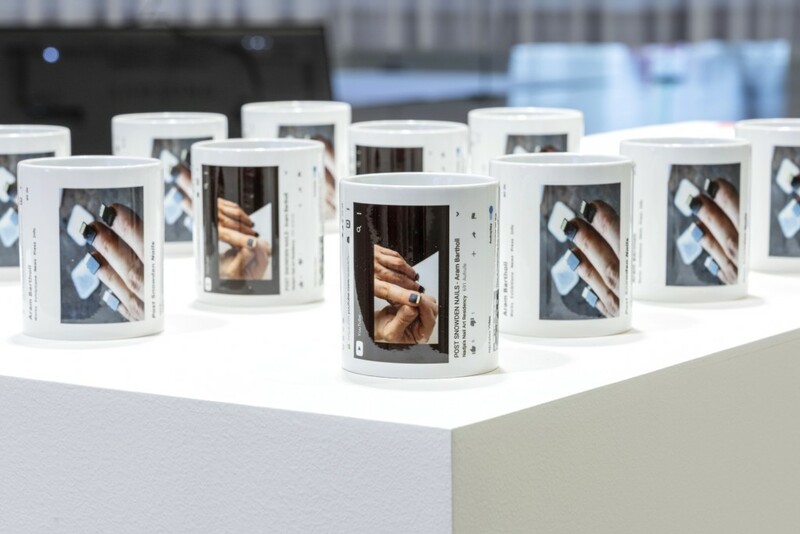 Post-Snowden Nails is a set of five micro SDcards glued to the finger nails of one hand. Each card contains a different set of data which can be accessed with the help of a SD-card-USB adapter. The data finger nail plugs directly into a computer USB port (or phone), in some cases an extension cable might be useful. Thumb: Live Linux OS. A full operating system on a thumb nail. This is a real thumb drive! 2 GB. Index: 6000 books of Henry Warwicks offline Library “Alexandria Project”, also see “The radical Tactics of the Offline Library”, 32 GB. Middle: A collection of more than 66.000 computer viruses from the virus archive collective VX Heaven, 7 GB. Ring: The full data base of deaddrops.com. All Dead Drops which have been made since 2010 and the content of the the five original Dead Drops which were exhibited at the MoMA in 2011, 6.5 GB. Pinky: The full english Wikipedia including the offline reader Kiwix to browse some of the 5 million articles offline. 62 GB.